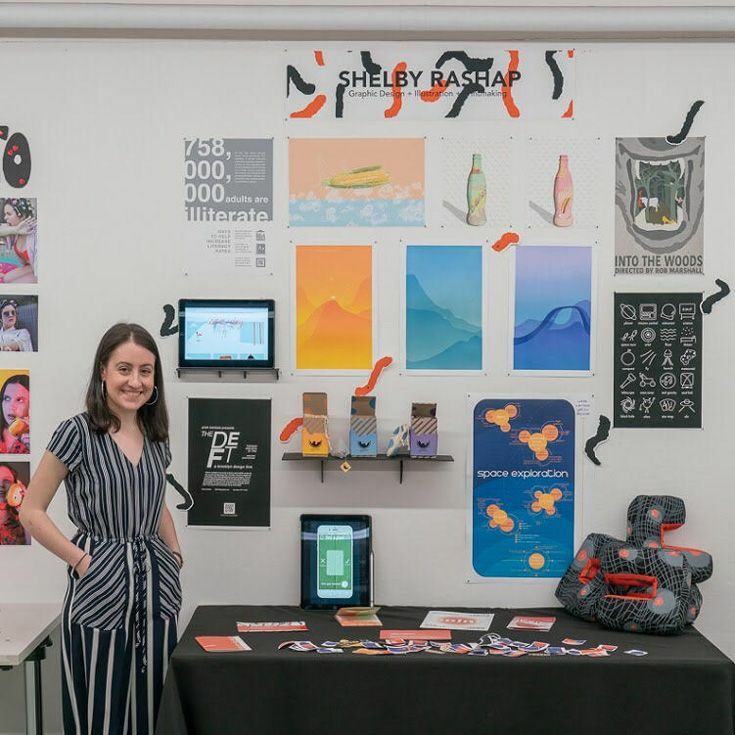 Just a year-and-a-half ago, Shelby Rashap, Class of 2016, started silk screening at the Pratt Institute in Brooklyn, NY, where she’s currently a junior studying Communication and Design. And it was her inspiring work that recently landed her design on the cover of The Prattler, the Institute's leading literary arts publication which aims to foster and amplify the voices of student creators. 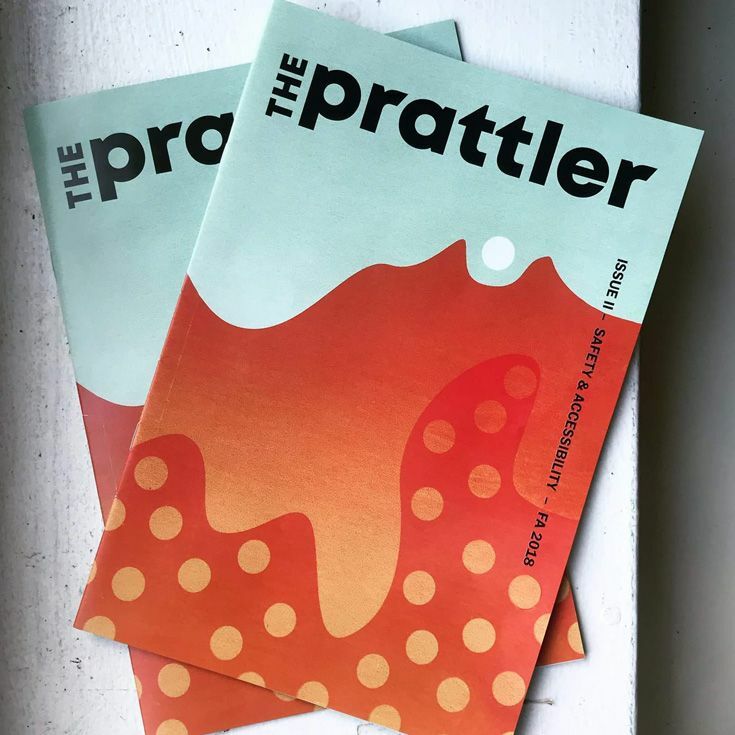 Shelby’s design adorned the cover of The Prattler’s Issue II-Safety & Accessibility, Fall 2018. “It was really cool to be asked to do some of the work that I enjoy doing,” she said. 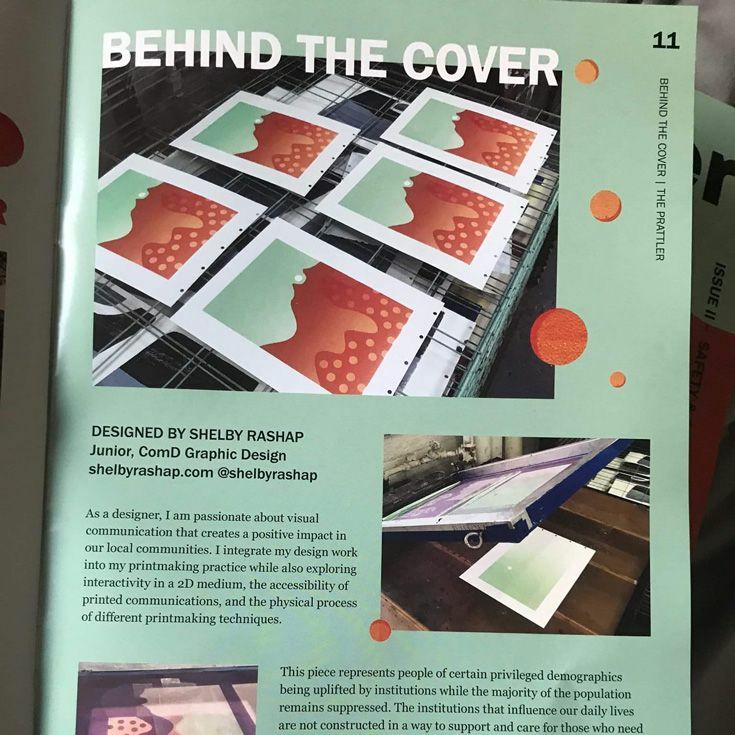 “It was also cool once the issue was published and to see it across the campus and to see everyone reading it.” Shelby anticipates that she’ll continue to work on illustrations for the publication. As she pursues her Communication degree, with a concentration in Graphic Design, Shelby is taking full advantage of opportunities which are helping her figure out what she wants to do after graduation. “I’ve had good opportunities with internships...so that takes up the majority of my ‘outside of Pratt’ time,” she said. Last summer Shelby worked with a jewelry startup on packaging design and a political consultant firm working on graphics for its clients. During the fall semester, she interned with Retailworks, a firm specializing in retail, corporate, and hospitality spaces, and recently started an internship with Tandem Design NYC. When she’s not studying or interning, Shelby keeps busy on campus and off. She’s a Resident Advisor (RA), a rep for the Communication and Design Department, and part of a group called Comm D Agency, a communications design student group. Shelby Rashap is currently a junior at Pratt Institute in Brooklyn, NY, studying Communication/Design with a concentration in Graphic Design.